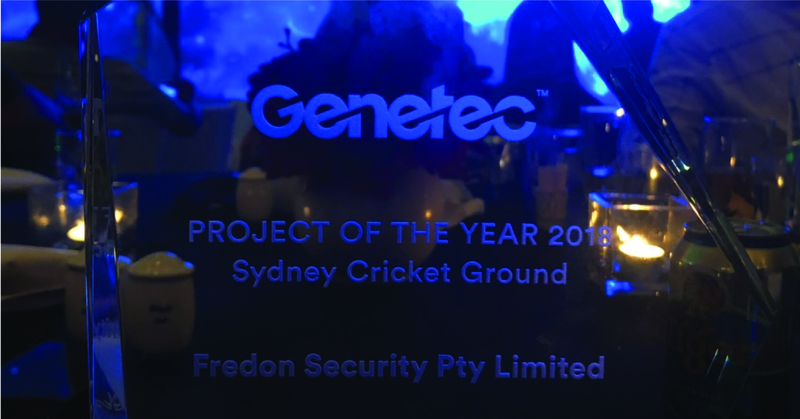 Fredon Security were proud to receive the Genetec Project of the Year Award for 2018, for the security upgrade completed at the Sydney Cricket Ground. The project involved upgrading the existing and installing new CCTV cameras, to a total of 800 high-definition and ultra-high definition cameras. Linked to a control centre and security system equipped with facial recognition technology, it has the ability to film every seat inside the SCG and zoom in on fans approaching from as far away as 1.5km and alert authorities to banned patrons or persons of interest. The SCG now boasts the most sophisticated control centre in Australian sporting venues and one of the best of its kind worldwide. The state-of-the-art facility is monitored 24hours a day, 365 days a year.